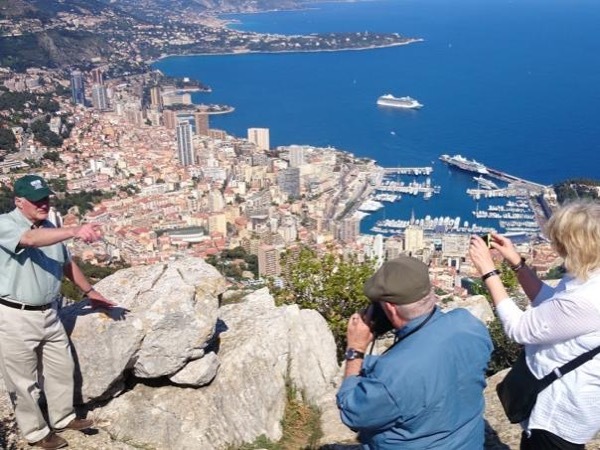 Traveler Review for Private Tour in Nice, Provence-Alpes-Côte d'Azur, France by Tour Guide Michel L.
About Michel L. Message Michel L.
We wanted a comprehensive survey of the Riviera, so we asked Michel to guide us for 3 days of touring -- Nice and central area, eastern area, and western area. (This was Day 1.) Michel provided exactly what we wanted. He has a superb knowledge of the history of each location. He knows where the best views can be enjoyed, where to stroll to best experience the culture of each village, and which restaurant to go to for an elegant and picturesque lunch. Michel is an excellent guide -- truly 5 stars.